Ballast water exchange can be costly, time consuming, and has been found to be limited in its effectiveness. 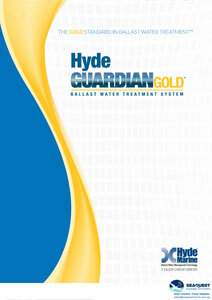 Hyde Marine Ballast water treatment systems offers a more efficient and sustainable solution. Using filtration and disinfection of ballast water. Hyde Marine’s Solution effectively prevents the transfer of invasive organisms and protects the marine environment.